Hey Ladies! How are yaa? (＾▽＾) I've been quite confuse which product I should review first since I've got so many things to review ≧△≦. But now, I'm going to make a review of Skinfood Rose Cheek Chalk. If you haven't heard about this brand then you should go check for it, since the quality is quite good. 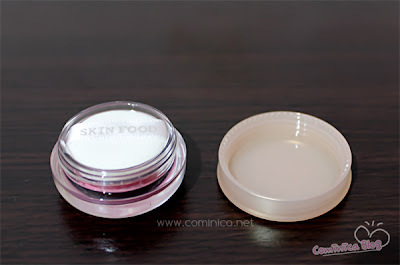 Skinfood is a brand from Korea, it claims to use a natural ingredients in all their products. The color looks like a pretty rose pink color. 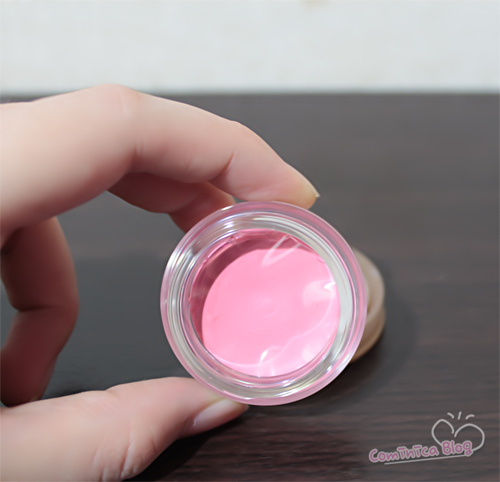 This blush texture is like a cream blush, easy to apply, so-so applicator and a pretty pink color! 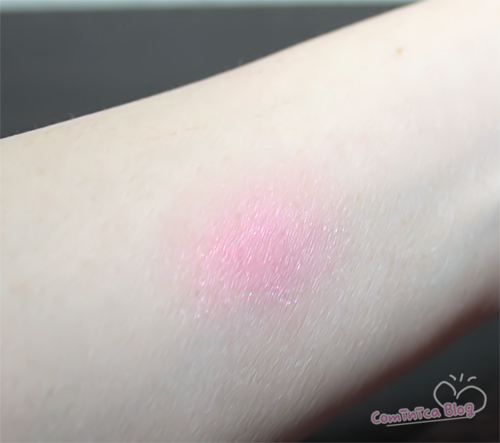 Swatch on my hand, this blush is has shimmer and less pigmented than my Canmake cream cheek. This Skinfood Rose cheek chalk has other 2 colors. Peach and Orange (if im not wrong). I have tried the Peach color on Skinfood counter and believe me the Peach shades is really pretty! It looks so fresh and it's more orangey than pinkish. I have check the Orange one too, but the color looks too intense for me Σ(゜д゜;) . ✩Cheap, I got it no more than $6. If you like a shimmery cream cheek you may check this out. The texture is kinda like Canmake Cream cheek IMO, easy to spread. Have you ever tried this blush before? I've heard skin food and the quality is good. I wanna buy, but it's pretty hard to get it :( esp in jakarta.